Community Involvement – Rothfelder & Falick L.L.P. Rothfelder & Falick has an outstanding reputation in the legal, business, political, charitable, and educational communities. The attorneys believe strongly in giving back to the community through volunteer service. As a result, Rothfelder & Falick has practical experience in the corporate and political worlds that enables the Firm to provide clients thorough case analysis and sound counsel, grounded in successful business practices and political contacts. 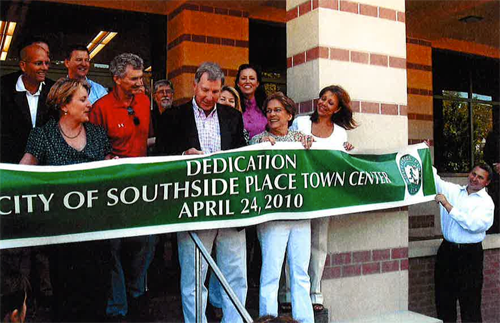 Richard Rothfelder, for example, served as the Mayor of the City of Southside Place, a Houston suburb, for twelve years. He is currently the Southside City Attorney. Mr. Rothfelder also served on the Board of Directors of the Harris County Mayors and Councils Association, including as its President in 2005. He is a past Board Member of the West University Elementary School Foundation, and served as its past President. Mr. Rothfelder is also a member of the Board of Advisors of the University of Kansas College of Liberal Arts and Sciences, a Trustee of the Houston Realty Business Coalition, and former General Counsel to the Air Force Escape and Evasion Society. Mike Falick was first elected to serve on the Spring Branch Independent School District Board of Trustees in 2004, and he was re-elected twice thereafter. He has served as the Board’s President (2007-2008 and 2010-2011) and served as the Board’s liaison for legal and legislative issues for the entirety of his time on the Board. In addition, Mr. Falick has served as a volunteer on numerous Boards including the Spring Branch Education Foundation, Leadership ISD, and the Spring Branch Council of PTAs. Mr. Falick is a Senior Fellow of the American Leadership Forum.